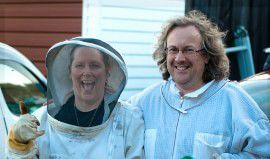 Hi, it's Gary and Margaret here, We are beekeepers from the hills of the Waitakere Ranges on the Wild West coast of West Auckland in New Zealand. 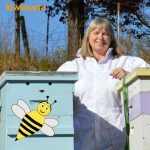 Our podcast is about beekeeping, what we have been up to, with a bit gardening and politics about environmental issues affecting beekeeping and bees but we’ve also been known to go off on tangents about other issues. 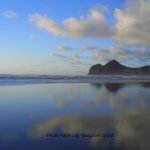 NZ had a election, congratulations to the NZ First party? The only party that is guaranteed to be in power. Students finally came over for a practical day – took 4 months to finally get this part of our beekeeping course completed – thanks, Simone, Darryl and Dave for their understanding. 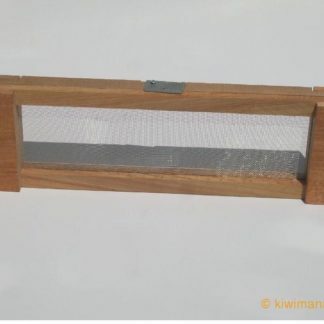 We ended up going to the education apiary – Kiwimana HQ still an absolute mud-fest so we just showed the students the different types of hive-styles, top bar, long bench hive the LIFESTYLER, 7 frame box size and nucleus boxes, showing how to manage with hive stands. The education apiary girls are really thriving, nectar is flowing over there but the most wonderful sight when looking at the wax comb is seeing how yellow their wax is. 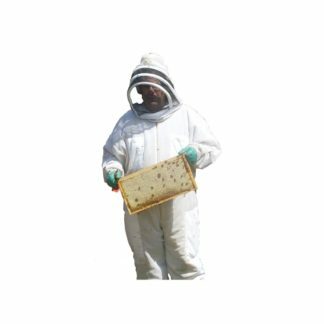 They have a few flying drones, but there are more drones coming, the cells of the drones we opened had about 4 mites in so treatments on-going…looks like this is the norm so don’t get caught out, especially if you are looking after your hives in an organic way. Next job is to split these girls. amaZngly ! …..LifeStyler girls still hanging in there much to my surprise, checked them over the weekend and there she was Queenie and she was laying and had some eggs, larvae – added some girls from the education apiary colony and it seems to have really help – warning – disease risks and health of hive you are taking from needs to be considered before making this kind of move; I should have had more faith. The worst beekeeping mistakes come from putting off what you should have done yesterday. Somehow, problems inside a beehive don’t get better by themselves. I keep thinking they will, but they don’t. Noel McPharlin – The amazing thing is, she remembered it all. 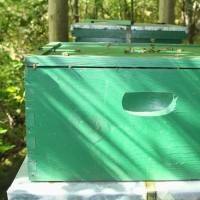 Is this the new Langstroth hive? Made out of concrete!! 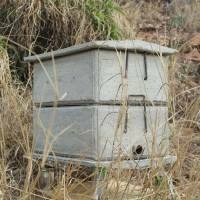 An idea from South Africa that may solve the hive thief issues around the world, concrete Beehives? Are these a great idea or just a pain in the back. Beekeepers in Johannesburg, South Africa, are facing the same declining bee populations that are being seen in the United States. 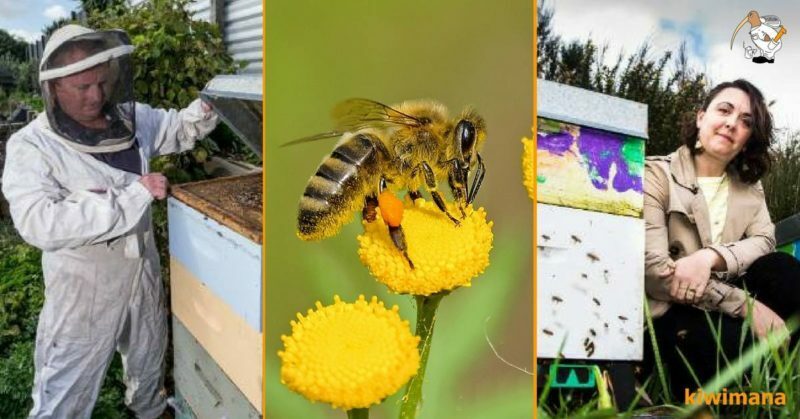 Not only are South African honeybees affected by the usual diseases and pesticides, they are also threatened by fires, honey badgers, and even vandals and thieves. Paulo Jmd Silva Terrible idea, wood hives are already too heavy so concrete ones must be really bad for people to lift unless you also buy a truck with a crane. Also, have my doubts about it having better insulation than wood but there are not enough details on the specifications to compare with regular wood hives. 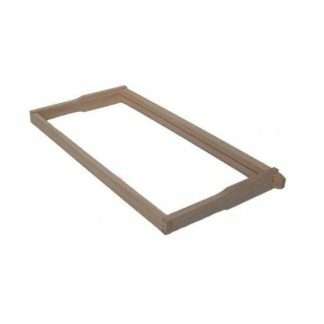 Another issue is durability, drop one of those on the ground and it will break easily, do the same with wood ones and no damage is done. 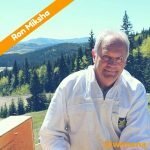 To finish my comment, also have to say that such photo is the perfect example of bad beekeeping if there’s one wildfire on the area you will lose the hive. 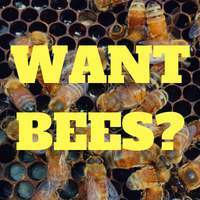 Concrete won’t protect the bees from extreme temperatures and the wax will melt and catch fire. Paul Scholten – …best get the location right first time round then !! 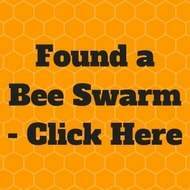 David Pepper How do you check the lower boxes and harvest honey? With a front end loader? Debi Jacka ACC are gonna love these sort of claims..
Lyle Cairns Since concrete contains known carcinogens, I wonder how much silicon in the honey is acceptable until it’s considered unsafe for human consumption? 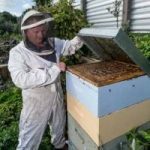 Brett Mascull from the Naki New Zealand has come up with a great idea to allow consumer to track where their honey came from. 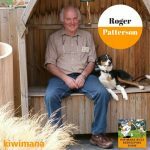 Brett was recognised with the Roy Paterson Trophy for Innovation at the ApiCulture New Zealand Conference in Rotorua early July. 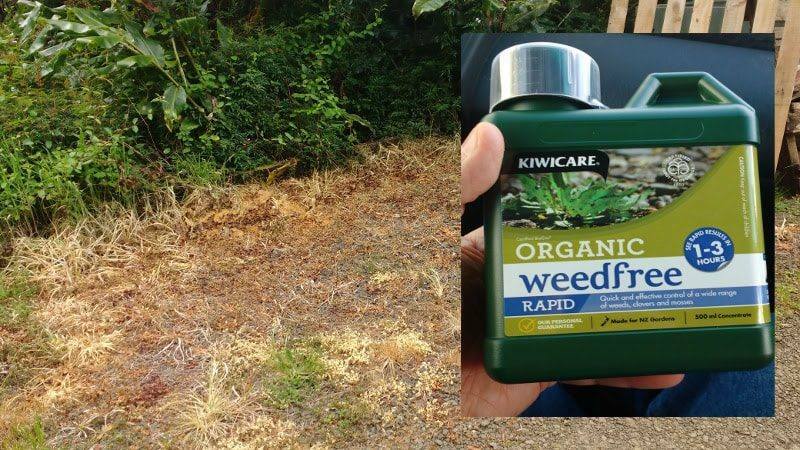 The Christchurch City Council is using an Organic weed Killer to reduce the use of glyphosate/Roundup products in their parks. This sounds like a great idea, wouldn’t it be great if Auckland Council Followed suite? 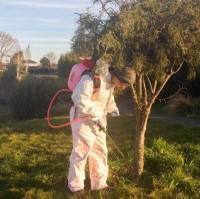 An organic weed killer being used by the Christchurch City Council is proving effective, as Council moves to significantly reduce its use of the potentially dangerous weed killer glyphosate. Council voted last year to limit the use of glyphosate, commonly sold as Roundup, and move to an organic alternative, along with hand-pulled and mechanically removed weeding. Its combination of natural pine oil and fatty acids. It is a non-residual and non-selective herbicide. Graeme Lundie Gary, any idea what they use ? 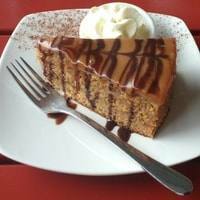 Rachel Dell And where to get it? Phil Chandler White vinegar works. Jasley McSaveney Nature’s Way spray at Mitre 10 works well too. Based on fatty acids. Has clove oil in it which you can smell. Organic. 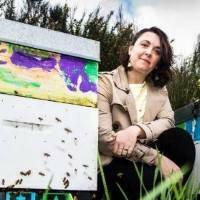 Wellingtons Local Flavour Urban Honey’s Cenna Lloyd has had hives kicked overexposing them to the elements. Sounds like kids but that doesn’t make the loss any better. 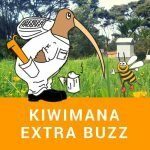 Twice this month, vandals have opened the hives in the Berhampore community garden, killing about 10,000 bees in one hive by exposing them to the cold. 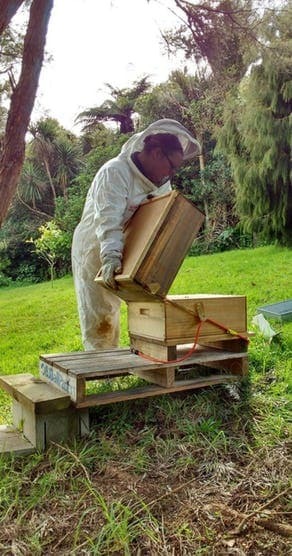 Do you think that you have received even one piece of information from our work that has helped you in your beekeeping? Do you think that information was worth $1 a month? 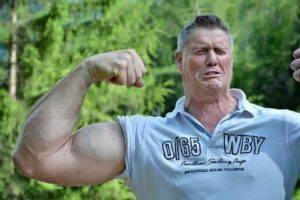 Roy Arbon who was accused of smuggling cocaine has won his case and will be returning back to New Zealand. A 68-year-old New Zealand man has been found not guilty of smuggling more than two kilograms of cocaine into Perth. We hope Roy settles back into normal life again and gets back into his beekeeping. Stephen Stewart Rather expensive powder to use for varroa testing? 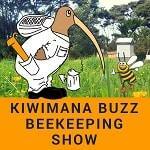 kiwimana Roy is a Treatment free Beekeeping Stephen, that is why I knew he was innocent of this crime. Great to see he got off and is heading home soon. I know that you're a big fan of oxalic acid. I've a brood box that's been regularly treated throughout winter with Apivar, I'm told. I haven't taken a count yet, but was thinking of starting an acid course, prior to taking a mite count after the first week. Apistan has been suggested, also? I'm determined to declare war on them mites this year! 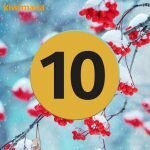 As a small thank you to our customers we ask for a ‘product review’ and from there, we randomly select one product review each month so they can go in to a draw for a $30 kiwimana gift certificate – a prize you can use ! But the draw winner must – Get in touch within 2 weeks – of the podcast release date to claim your prize. 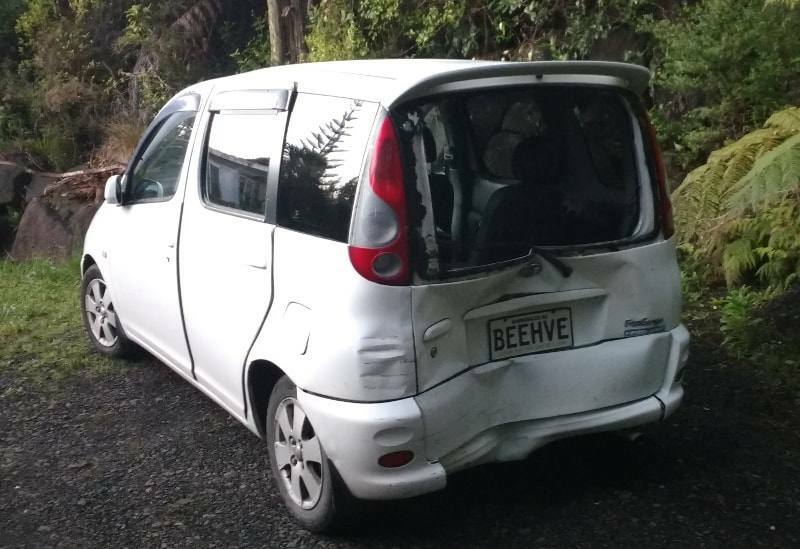 I was wondering if anybody knew of a beekeeping club in the south Waikato? 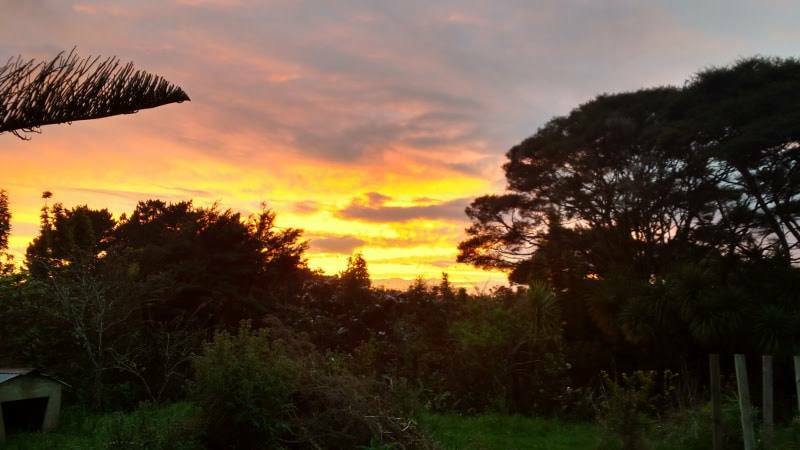 I’m based in Te Awamutu, and the Waikato club meets too far away from me & too late in the day for it to work for me on a school night (work night). PS. Loving the podcast! I enjoy your lightheartedness and humour. I listen to it while at work and it helps the day feel a little lighter! In this week’s Bonus show we talk about Varroa Mites have genetic holes in their armour and a handy Chart of bee growth. The bonus show is for our Patrons. This will be released on 11 October for our Patrons and 18 October for the rest of the world. We would love it if you could please share this show with your friends on Social Media, please click on the icon at the top of your favourite Social media and share our show. Thanks for all your help…Gary and Margaret.